As a reactive and diffusible gaseous signal, nitric oxide (NO) regulates many physiological processes including, cell wall biosynthesis, reactive oxygen species (ROS) metabolism, stress-induced or constitutive gene expression, programmed cell death, ripening, and senescence. It also regulates plant responses to different biotic and abiotic stimuli. 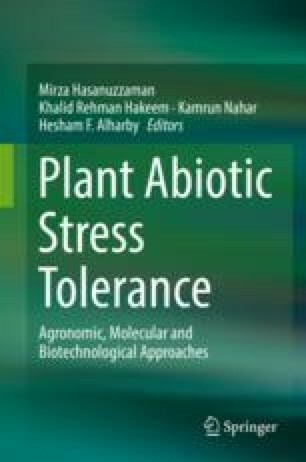 It also acts as a stress protectant, for example, exogenous application of NO protects rice leaves from paraquat toxicity, oxidative stress, and osmotic stress by up-regulating antioxidant defense. Similarly, NO application alleviates aluminum, lead, and cadmium toxicity by suppressing oxidative out-burst. NO production in higher plants classically involves a reductive pathway involving both nitrate reductase or non-enzymatic reduction and an oxidative pathway involving putative nitric oxide synthase (NOS)-like enzyme. The cellular NO homeostasis is maintained by reversible reaction with glutathione (GSH) producing S-nitrosoglutathione (GSNO). GSNO is metabolized by GSNO reductase (GSNOR) which controls NO and nitrosothiol levels in response to biotic and abiotic stimuli. It has recently been suggested that apart from stress responses GSNO regulates nitrate uptake and assimilation in plants.